The choice of sections for your child should be treated seriously. To improve health, to expand the interests of your child, to help him from an early age to temper your character, you need to enroll a child in the sports section, but what, only you can decide for yourself. Unfortunately, not all parents know that the choice of sports should depend on the age of your offspring. So a child of 7-8 years could be not completely developed some systems and skills, such as breathing, agility and endurance. If not the time to give such a child to the section on athletics or volleyball, you may experience health problems. How to hedge in order not to make mistakes? It's very simple. 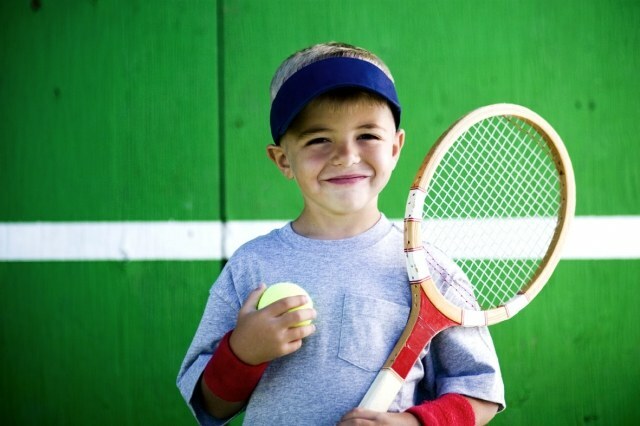 You need to find sports that fit the indicators right for your child. The recommended age for playing football, hockey, basketball, volleyball and wrestling 10-12 years. For Boxing - 12-14 years. But to begin to do the heavy lifting, you need to wait until the baby is not fulfilled 14-15 years. The lessons of calisthenics and swimming, you can start to walk with for 7-8 years. Sometimes it happens that the teenager is very busy with school or for medical reasons cannot seriously engage in sports. How to be in this case? Please note your child for a simple physical exercise. It only takes 15-20 minutes. In the daily diet of exercises could include squatting, bending, running and walking. All of this will enhance strength and add vigor. Another tip on this subject. If you see that your child is not very interested in sports, you should not start moralizing speeches. Maybe your child is gifted with creativity, then you should give it to art school, drama club, section modeling, origami, dancing.